Battle of the Boyne, Bellaghy, Brownie Downing, Castle Dawson, Colonel Adam Downing, Downing Street, Emanuel Downing, Rowesgift, Siege of Londonderry, Sir George Downing 1st Bt. My maternal 6th great-grandfather is Colonel Adam Downing. Born in Londonderry in 1666 he served with the army of King William of Orange as a young army officer aged twenty-three and fought at the Siege of Londonderry in 1689. There is a well-known poem which mentions him named ‘The Shutting of the Gates’. 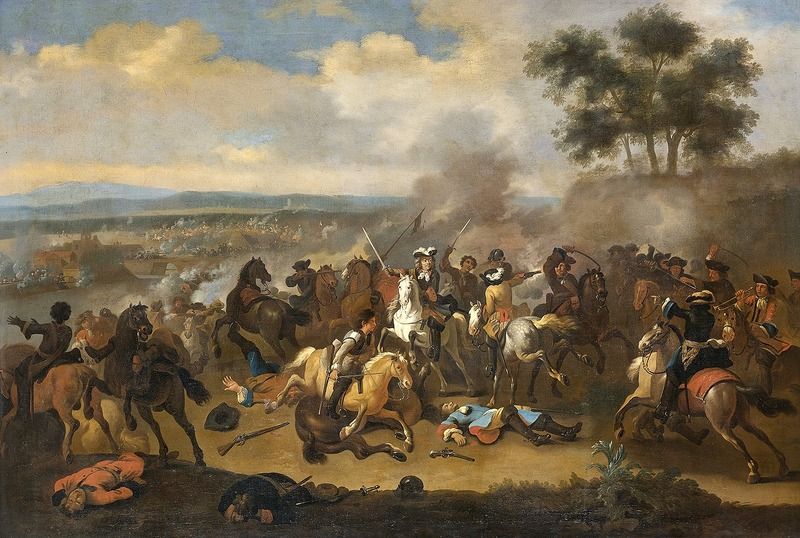 The following year he fought at the Battle of the Boyne in 1690 where King William defeated the Catholic James II, and England’s history changed forever. Early in December, the inhabitants of Derry were alarmed to hear that a Catholic regiment under Lord Antrim was about to be placed in their town as a garrison, and that these troops were actually on their march. This alarm was strengthened by a sermon preached to the Roman Catholics of Derry, showing how dangerous it was to spare even one of those whom God had devoted to destruction. Nine out of every ten being Presbyterians, they were the more inclined to reject a policy they condemned, because it was advocated by a man whose office they despised. But when the Rev. James Gordon, Presbyterian minister of Glendermot, strongly advised resistance, they were easily persuaded to adopt the course they desired, when urged by one who held the same religious principles as themselves. The spirit of the Derry Presbyterians now rose high. Lord Antrim’s soldiers were drawing near. No time was to be lost. Thirteen young men, since known to history as the “Prentice Boys of Derry” drew their swords, ran to the gate, and locked it, when the Irish Catholic Army was sixty yards distant. Their names were: William Cairns, Henry Campsie, William Crookshanks, Alexander Cunningham, John Cunningham, Samuel Harvey, Samuel Hunt, Alexander Irwin, Robert Morrison, Daniel Sherrard, Robert Sherrard, James Spike, James Steward. The other gates were secured and the magazine seized. The Irish soldiers remained outside until they heard a man named James Morrison shouting, “Bring about a great gun here,” when they retired in haste and re-crossed the river. Bishop Hopkins now addressed the multitude, telling them that in resisting James, who was their lawful king, they were resisting God Himself. The Siege lasted for 105 days but the citizens and the garrison were pent up by the presence of first the Earl of Antrim`s forces from 7 December 1688, and then by King James` forces, to 31 July 1689 a total of 236 days. King James retreated from Londonderry on the evening of 31 July 1689 having lost between 8-10,000 men. If anyone reading this story is a descendant of this branch of the Downing family in Co. Londonderry or Antrim there is a group page on Facebook which you are welcome to join by clicking here. Hello there, I have been researching the stories from around Lavey in County Derry and I will tell you a story about The Downings who lived in Dreenan. Speaking to my father, he tells a story that was told by his father, that a man was shot dead on the Mayogall Road and The Downings were said to be responsible. After the murder it was said that there would come a day that some of the generation living would see, when there would be no more Downings in Dreenan. 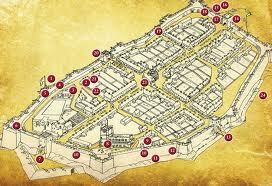 At the time there were very many Downings living in Dreenan. This came to pass, the last one died in the 1950s or 60s and the rest of the families have all left. This story was told by my grandfather and we think this incident happened in the late 1800s. Also they say that the spirit of Colonel Downing was put in a bottle and the bottle was thrown in a local lough. I don’t think they liked him round here. From my research I see that there were 2 Colonel Downings, one died in 1719, the other in 1847. I don’t know which of these the story of the ghost in the bottle relates to or how either of these men died that someone was able to capture their spirit! There is an ancient ‘Hanging Tree’ in the area also where they say a priest was hung in penal times by the English redcoats so it may well relate to that story too. Sorry for the long delay in replying – I only found your message today. What a fascinating story about the Downing’s! I had never heard about this before. There was a Lt. Colonel Adam Giffard Downing born in Londonderry in 1779 died 1847. They were staunch Protestants settlers of course and not very welcome in NI. Fantastic detail in this Tim and a most interesting history of Col Downing. You carried on with his family tradition by your own service. Thank you James. So glad you enjoyed the story! I am a distant cousin descended from John Downing, b. 1700, son of Adam. I have a hard copy of Genealogy of the Downing Family by my great, great uncle W.C. Downing that was passed down to me and it contains some inaccuracies. I am trying to “prove” a potential broken link and would love to share information. Hi Rick, so sorry missed your message! Please can you send me your email address so I can contact you? It will not appear on this message board in public as I will filter it out first. Hello Jack, Not sure I answered previously but did not see my reply listed so am doing so now/again. I am hoping to verify some of the Adam Downing branch, specifically, Clotworthy’s “downline” and his marriage(s). Also, we have not been able to prove Adam’s father as “Henry” or whether he emigrated from England. Hi Rick, thanks for your message! I will email you separately in the next few days. Where do you live by the way? I am in Australia.